5 sets with vector autumn design elements – 8 fallen leaves templates, 3 horizontal autumn banner designs with leaves, one frame for your card designs and one nice autumn vector background for you. Format: EPS stock vector clip art. Free for download. Theme: vector autumn, design elements, leaves, banners, frames. 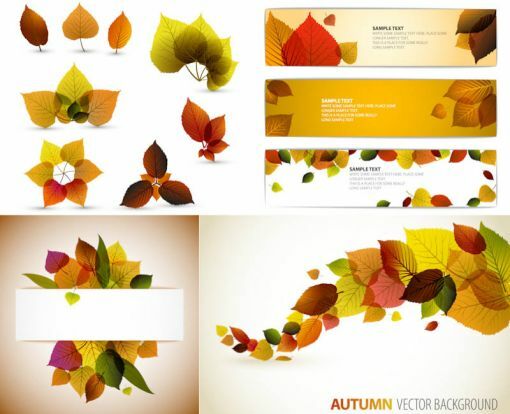 "Autumn design set vector" is in these categories. You may find your favorite articles in these categories.